We’re excited to announce that Kitomba’s getting a facelift and its new look will be released very soon! Everyday you inspire us with your ability to give your clients fresh new looks and have them leave your salon, spa or clinic feeling amazing. And we felt Kitomba needed some of that TLC too. 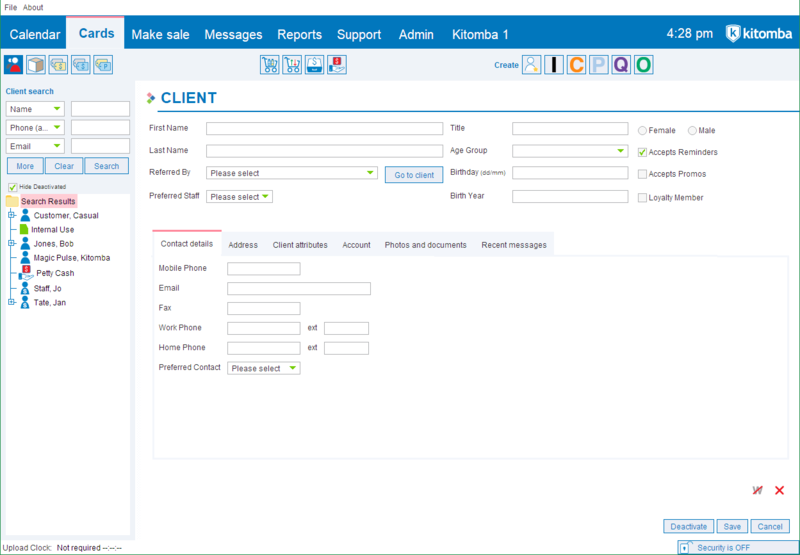 Kitomba’s refreshed look has been achieved with some simple design changes, new colours and icons. This means Kitomba looks cleaner, simpler and more consistent with Kitomba 1. While you’ll certainly notice the difference, we haven’t changed how features work or how you find them. It’s still Kitomba, just a better looking version, so you should be able to get on with your day without any problems! We’ll start rolling out the new look Kitomba next week! We’re just giving you a heads up so you’re not too surprised when you see some changes. Remember, like other Kitomba releases, it could take a few weeks before you receive the new look. or write it on a post it note and stick it to your salons computer. Keep an eye on your emails, texts and in Kitomba over the coming weeks as we’ll give you more information and remind you to expect the new look Kitomba. Hi, the new look looks great. I wanted to give some feedback regarding staff capabilities that maybe you could change going forward. When a new team member joins it’s a real pain having to go through the capabilities and untick any treatments they will not be doing. It would be so much easier to tick the treatments they will be doing. When we have new treatments to our menu kitomba automatically ticks every staff member as being capable of doing the treatment. Again so much easier to be able to tick this yourself. I have 15 to 20 team members and a huge treatment menu, this can be very time consuming. Appreciate the advice but….. it would be more professional to prove a ‘briefing sheet’ (change on a page) so that staff can be properly briefed. The sneak peak note doesn’t cut it. Please send through a proper brief that can be conveyed to staff AHEAD of the changes being rolled out. Hi Irene, we’ll be sending more information before you receive this update which will include some key before and after details which you could share with your team. The changes are entirely cosmetic and won’t change the way you do anything in Kitomba or where you find it. This means that everyone should be able to use Kitomba just as they did before the change. Hi Natalie, thanks for your feedback – we really love hearing from our customers! It is possible to add a new staff member from Kitomba 1 but as you know, you would then have to set up their timetable in Kitomba. It’d be great if you could add your requests to the Kitomba Community Feature Requests so we can take your requests into consideration as we plan future development. Hi Patricia, thanks for sharing your feedback. Please add a feature request to our Kitomba Community so it’s taken into consideration for future development. We’re all looking forward to the new look! Hi Penelope, we’re glad you’re looking forward to the new look! We can’t wait either! Thanks for your feedback about repeat appointments too. It’d be great if you could add it to the Kitomba Community Feature Requests so we can take it into consideration when we plan future development. I don’t suppose the new look could also include the red time line that K1 has ?! 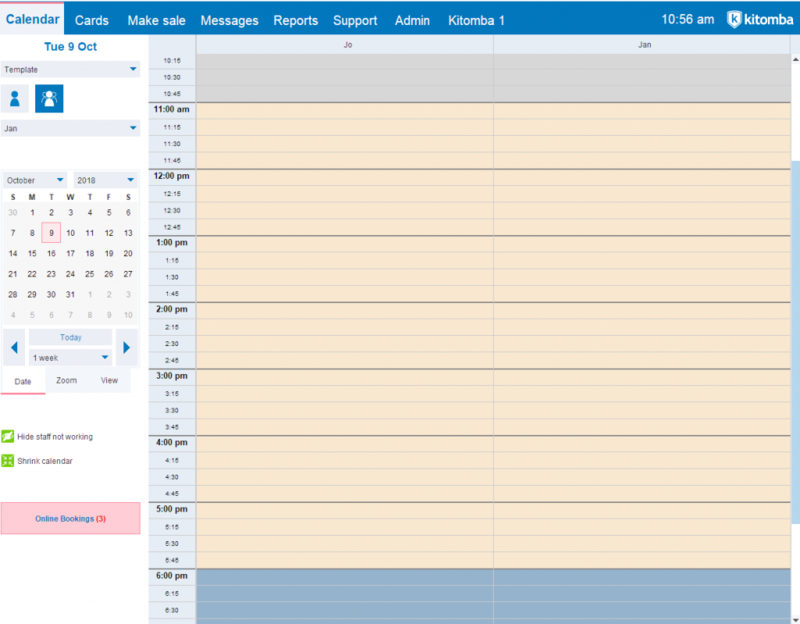 It makes it easier to see exactly where you’re at on the schedule…. And also if the text area for notes on voucher sales / redemption could be made a lot bigger or re-sizeable?! It’s very hard to read the notes within such a small text area! Hi Murray, thanks for your ideas. We’ve passed this on but please also let us know what you think when you have received the new look!